The Predicting Asthma Risk in Children (PARC) tool uses information on respiratory symptoms in preschool children to predict occurrence of asthma at school age. It was developed using data from the Leicestershire Respiratory Cohort and Eva externally validated it in an independent cohort, the Avon Longitudinal Study of Parents and Children (ALSPAC). 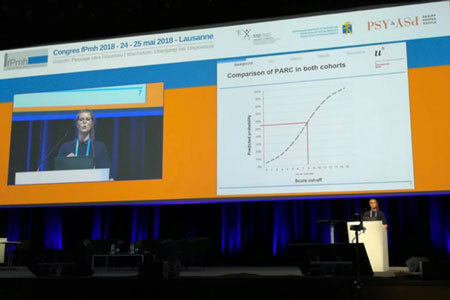 The external validation showed that PARC had the same ability – that is, similar sensitivity and specificity – to distinguish sick from healthy children in the validation cohort. This suggests that the simple, noninvasive PARC tool is now ready to be tested in clinical practice. We are doing this in the Swiss Paediatric Airway Cohort (www.spac-study.ch), which includes respiratory outpatients from children’s hospitals in Switzerland. This validation study was funded by the Swiss National Science Foundation, the Lung League St. Gallen, and the Allergiestiftung Gierok-Müller.